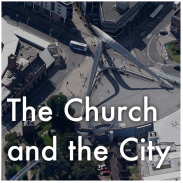 All of our Sunday Morning Gathering talks are recorded and uploaded here for you to listen to. You can listen to individual talks, sorted by series, or sign up to our podcast on iTunes here. Each week's talk will also be posted on our blog, too. We all love to hear good news. What if there was news that was so good that it changed everything? Literally everything. In this series, we will look at how 'the Gospel' transforms life. We will answer the questions: What is the Gospel? How can we communicate the Gospel to our friends and neighbours and still communicate 'Good News?! That we would know and experience the Gospel (good news of Jesus) for our lives personally. That we’re loved and accepted by God not because of anything we’ve done but because of what God has done for us in Jesus. That we would gain a new passion for sharing the gospel with others, as well as some tools to help us do this. That we would see the difference the gospel makes in our everyday lives - at home, at work, and in our neighborhoods – and then live it out! In the first of our 5 part series on the gospel Mark takes us through Jesus' life and some of the things he did. With a world full of people searching for something, Mark brings us the challenge of how to spread the message of Jesus confidently and takes us through how humans beings are wired to be storytellers. Who are you? What is your identity? We all have a past. Things that we would rather forget. Things that cause us guilt and shame. Sin (and idolatry) affects us all.The good news of Jesus is that he changes us. Changes your mind, your heart, your life. "Your life is now hidden with Christ in God" (Col 3:3). How does this affect how you live? Will you relinquish your idols and replace them with Jesus as the center of your life? Evangelism. Love it or loathe it? It's an important aspect of our faith, yet sharing the gospel often seems surprisingly difficult to do. What if we didn't overcomplicate it, we stopped trying to learn from scripts and instead figured out how to share Jesus in a easier, more natural way? Nick challenges us to take the Gospel to heart and make it an everyday challenge to open up and share our lives with the people around us. You have two minutes to explain the Gospel. Right now. Go! Andrew McNeill from Network Vineyard, Birmingham, visits to teach on how the Gospel is the power of God that brings salvation... and that's good news! More than just good news, it's a story that tells of how much God values each one of us in a relationship each of us should be proud to share. When we share the GOSPEL we can talk about four parts: Creation, Fall, Redemption and Renewal. Jesus calls us to join him in the renewal of all things. "All things have been created through him and for him.. in him all things hold together... For God was pleased to have all his fullness dwell in him, and through him to reconcile to himself all things, whether things on earth or things in heaven, by making peace through his blood, shed on the cross." Colossians 1:15-20. What does this look like in our day to day life? How can we possibly join with Jesus in the Renewal of All Things? The God we worship is a God of grace. His Grace transforms us. 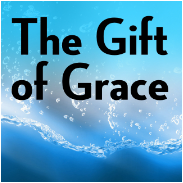 In this series we look at what this gift of grace looks like and how it transforms us lives and creates rich generosity. 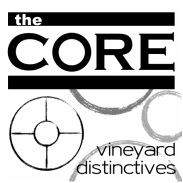 In this series we look at what makes a Vineyard church distinctive. What are our Core Values? What do we hold dear? What if we, as a church community, decided to develop a culture of transformation, where we humbly prayed "Come Holy Spirit" and then co-operated with the Spirit of God as He equipped us for mission? What if we measured the success of a church by how the people live out their faith in their community. Are lives changed, people transformed and hope found?